Scarfolk is a town in North West England that did not progress beyond 1979. Instead, the entire decade of the 1970s loops ad infinitum. Here in Scarfolk, pagan rituals blend seamlessly with science; hauntology is a compulsory subject at school, and everyone must be in bed by 8pm because they are perpetually running a slight fever. 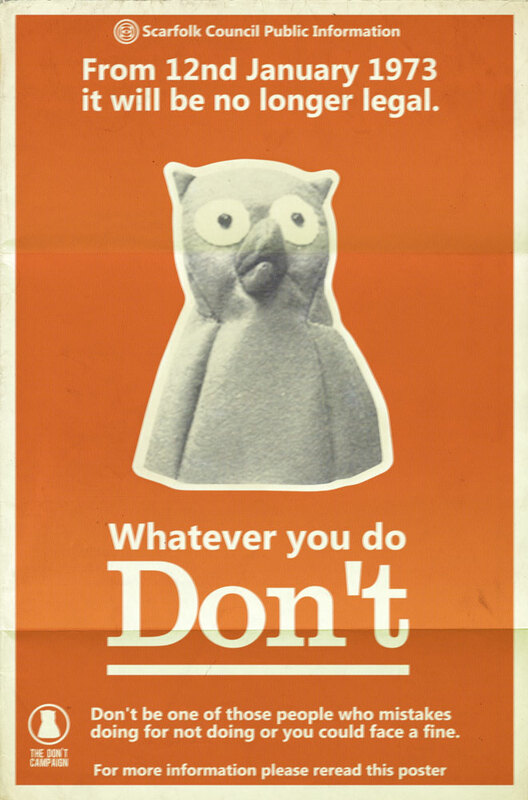 "Visit Scarfolk today. Our number one priority is keeping rabies at bay."